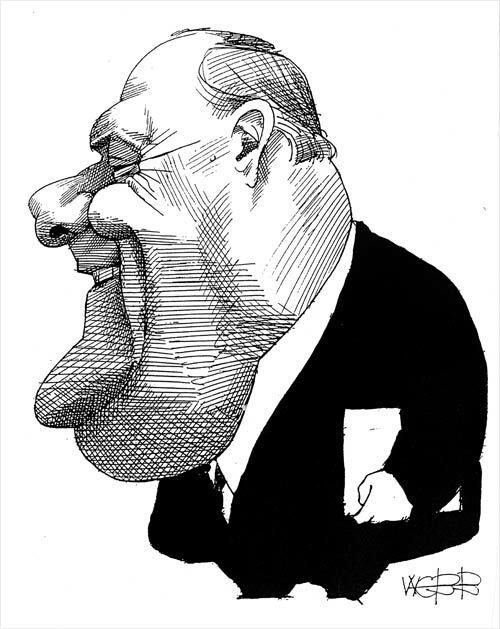 Murray Webb's caricature of former Prime Minister Robert Muldoon was produced around 1990. Muldoon's departure from New Zealand politics meant cartoonists had to work harder. The new generation of politicians were more difficult to caricature, as they were often less distinctive in political behaviour and appearance than Muldoon.